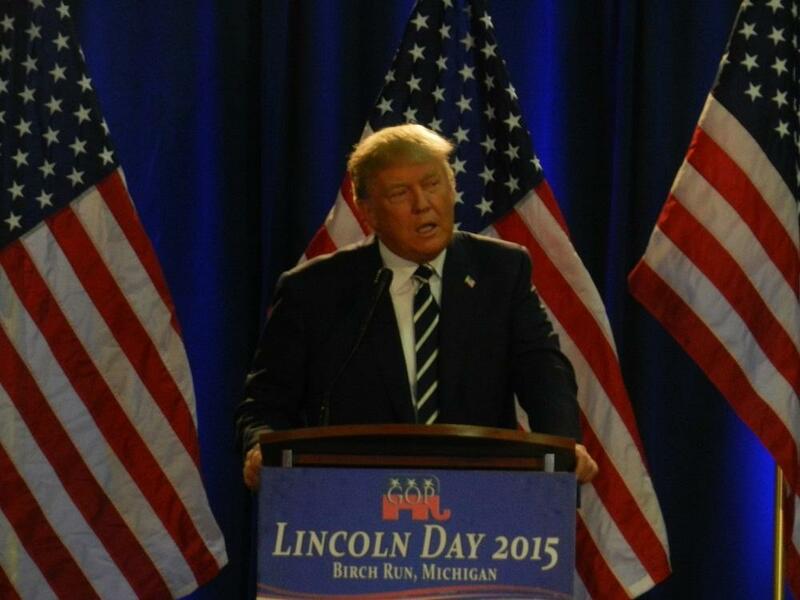 Republican presidential candidate Donald Trump wowed his fans at an appearance in Michigan tonight. People paid between $25 and $125 to see Trump. During his speech, Donald Trump attacked Chinese currency manipulation (bad), the proposed Iranian nuclear deal (worse), his political rivals (weak) and the news media (liars), much to the delight of the crowd. Trump also criticized Ford Motor Company for its plans to spend billions on an auto plant in Mexico. “How does it help us? Except they’ll be closing plants in Michigan and lots of other places,” Trump declared. Trump spoke about solving problems, but did not give specifics. Before the speech, reporters asked him if he was asking voters to “trust” him to come up with solutions. 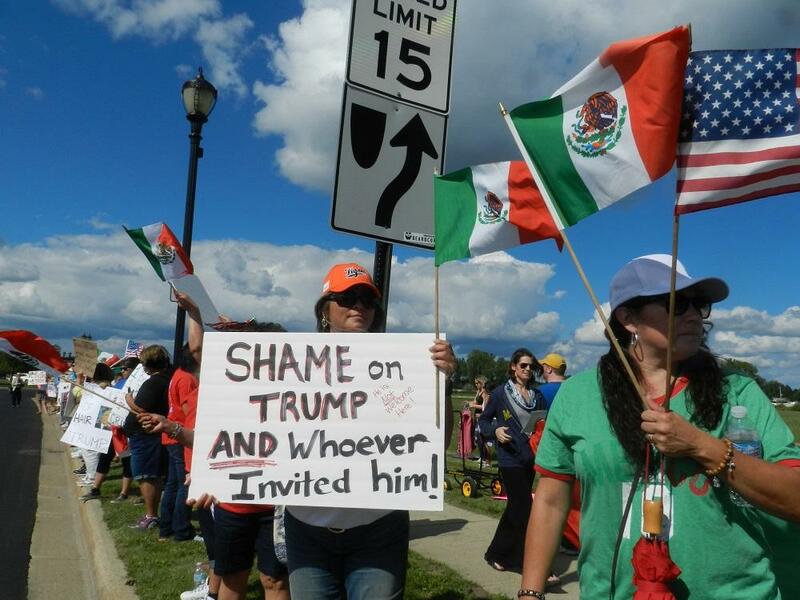 While Trump spoke to thousands inside the Birch Run Expo Center, a small group protested the billionaire businessman’s statements about veterans, immigrants and women. 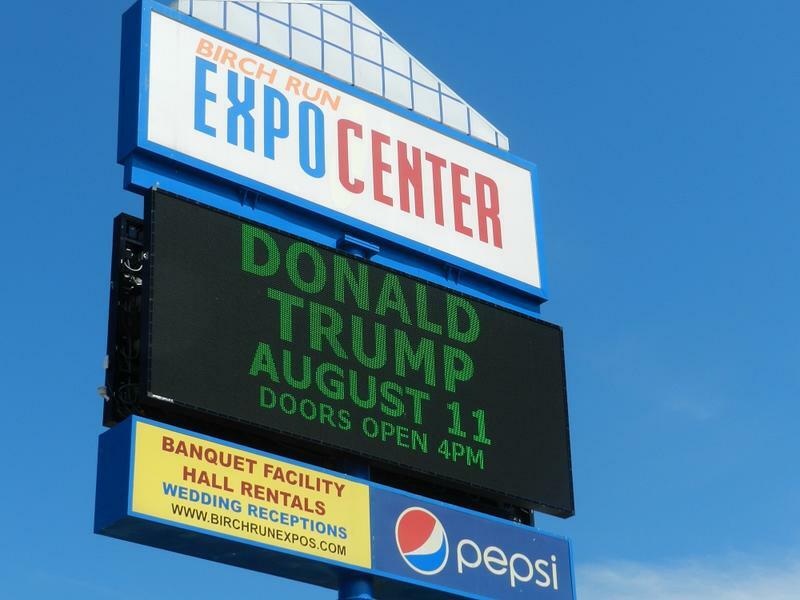 Organizers expect to sell out today’s speech by Republican Party presidential candidate Donald Trump. 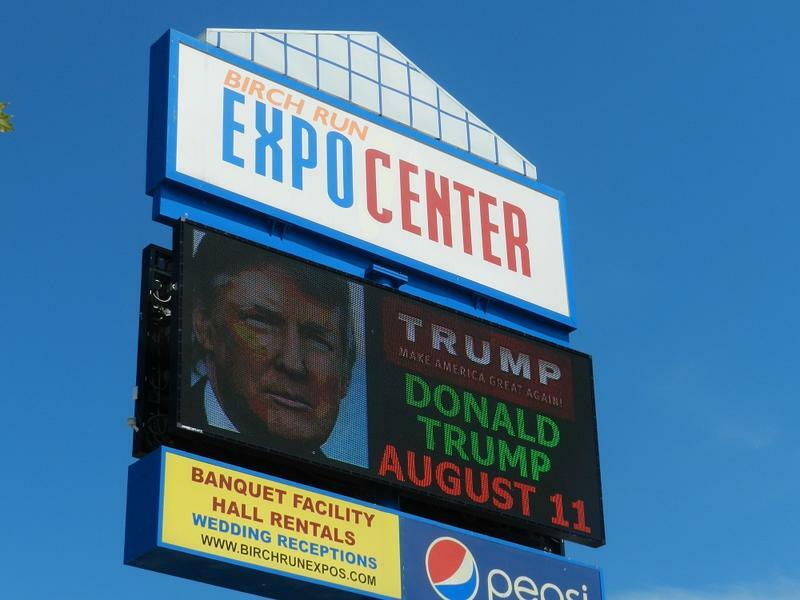 Trump is scheduled to speak this evening at the Birch Run Expo Center. The event is a fundraiser for the Saginaw and Genesee County Republican Parties. Michael Moon is the chair of the Genesee County GOP. He says Trump’s controversial comments about a Fox News anchor have spurred sales during the past few days. There will be plenty of security inside and outside of tomorrow’s Donald Trump speaking event near Flint. Trump will be speaking in Birch Run, which is police chief Al Swearengin’s town. He says they’ve had bigger events, including this past weekend’s Dirt Fest music festival at the Expo Center. Is Trump such a bad deal for Michigan Republicans? There is no stopping him. Republican presidential candidate Donald Trump can’t stop talking. But, is that really such a bad thing for his fellow Republicans?